5643 & Cumbria, Preston, Sun 7 February 2010 1. 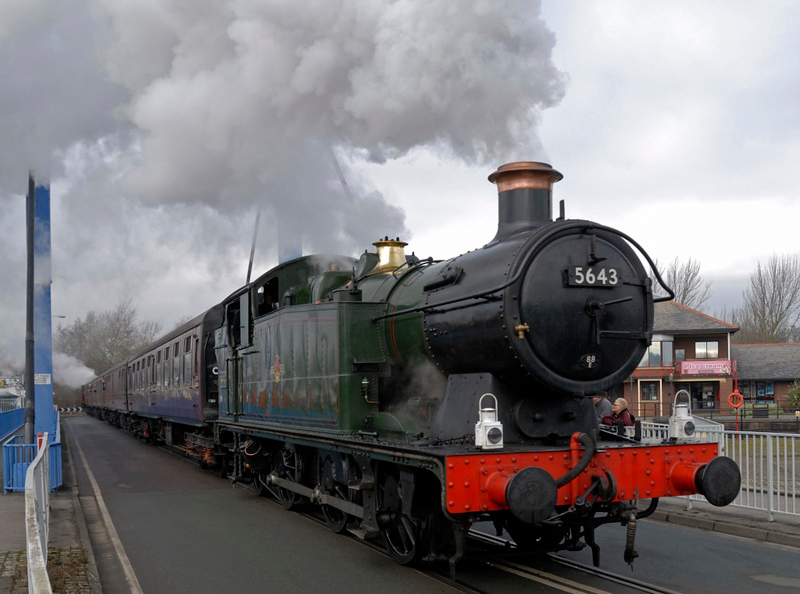 Here are four photos of the two Furness Rly Trust locos in action on the Ribble Steam Rly. This shot shows them crossing the docklands swing bridge as they leave Riversway. The smoke in the distance comes from Cumbria.